The NEWBEE Special is a great hive for a new beekeeper. 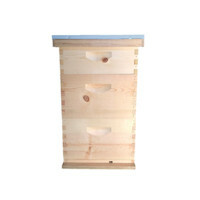 The NEWBEE Special includes the entire beehive with bees for the awesome price of $325.00 plus tax. It comes with 2 deeps, 15 deep frames including the five from the NUC, A Super with ten frames, a bottom board, a telescopic top with inner cover. This offers a limited in store (local pickup) offer only to the first 75 customers. You must purchase both the NUC and the Hive to receive it at the reduced price. After purchasing a this special, you can pick the hive up right away, but the bees will arrive in the spring with our regular nuc delivery. Pay $150.00 in full and reserve a 2019 NUC. We will contact you shortly after receiving your payment to confirm the receipt of your order. Receive a discount of $10 off each NUC for purchases of 10 or more or when ordered through your local Bee Association. We will contact you again to finalize the pickup details. Our pickup dates will be in April or May 2019 weather depended. For all pickups we recommend coming either early morning or late evening to pick up the NUCs. If you are not able to come at these times, please let us know ahead of time so we can make other arrangements. We will have two pick up locations this year; one in Centralia and the other in Tacoma, WA. We are offering a New Hive Special for the next 20 customers. 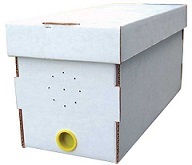 The New Hive Special consisting of two brood boxes with 15 deep frames, one super with ten super frames or 9 frames with spacer, one telescopic cover, inner cover, a bottom board for the awesome price of $175.00 plus tax. This is a limited in store (local pickup) offer only. After purchasing this special you can call to schedule a pickup time (note** we will paint the hive for a addition $25.00 due at pickup).